Hey! Want to play ball? How about some food? Please?! No? Then let's go for a walk! My name is Barrett. 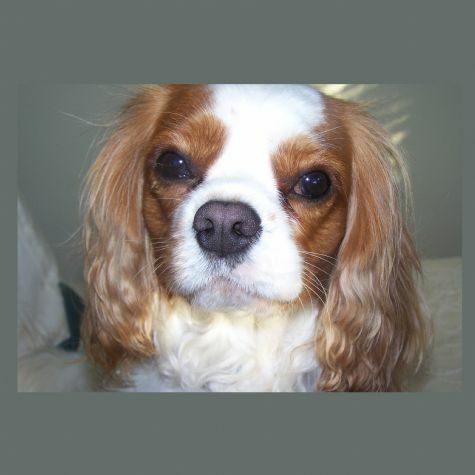 I am a Cavalier King Charles Spaniel. I was born two years ago, and I love to play. Do you want to see a dog chase his tail? Okay -- here I go ... Gotcha tail! Now let's cuddle! Can I get some treats? Please? You are my best friend.